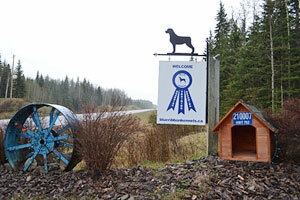 Blue Ribbon Kennels - Boarding and Training - Bragg Creek - Our kennel located in Bragg Creek Millarville Priddis area - we offer dog boarding and training. ​Did you know that summer is the busiest time at the kennel. ​We know your dog will enjoy his!! !